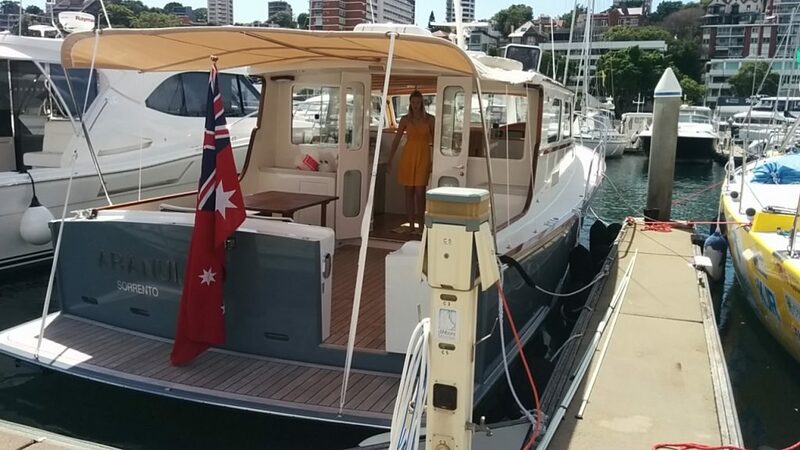 Gentleman’s Boat is a Bass Strait 43′. 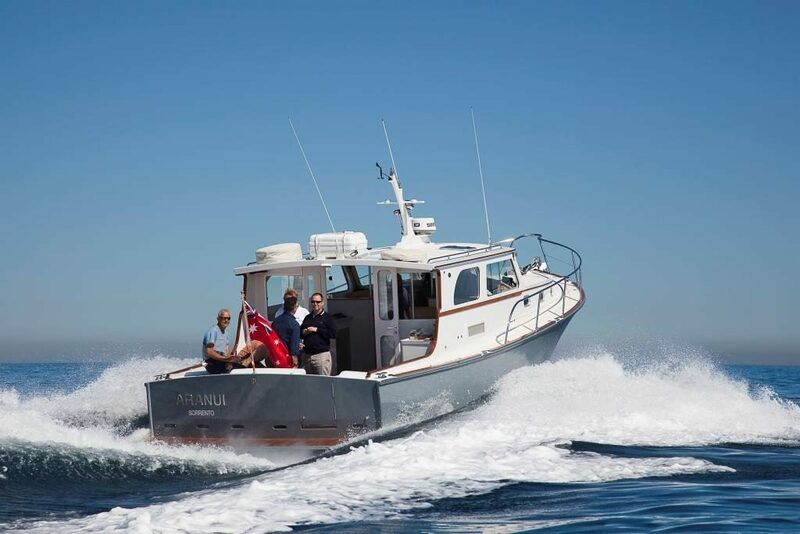 Gentlemans Boat motor cruiser combines style, luxury and stability on the Harbour. Built to exacting standards in 2014, she is hand crafted from red cedar and features the liberal use of Huon pine. 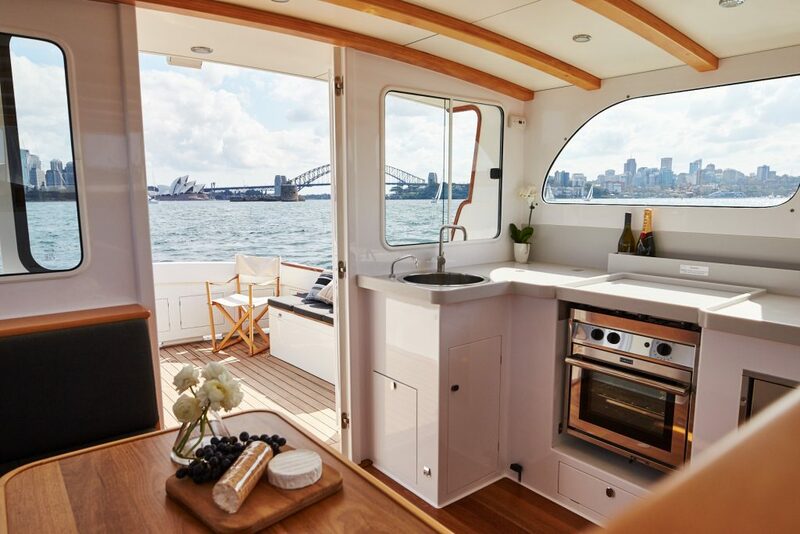 Tallow wood, teak and skylight hatches add to the light, airy feel of Gentleman’s Boat. The interior features Corian benchtops and top of the line materials. She offers a roomy saloon that flows through double doors to the aft deck in a luxurious open plan style. 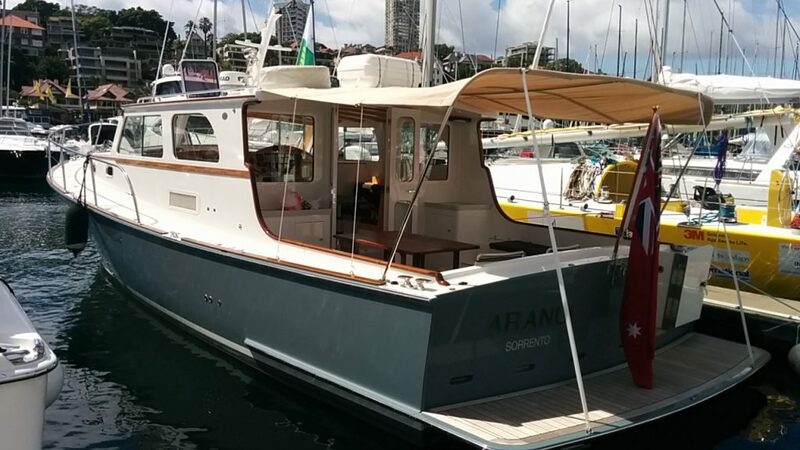 A retractable awning can cover the aft deck and a table can be set up for lunch on the aft deck. There is also a dinette inside the main saloon. 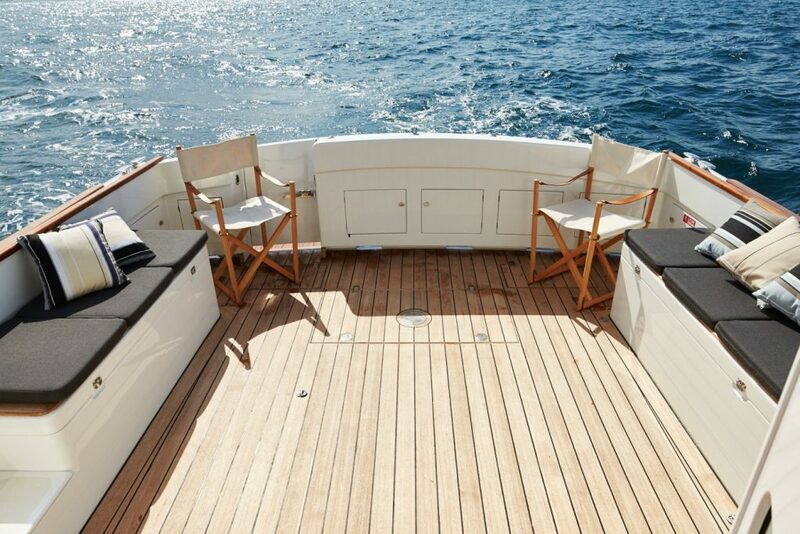 The spacious bow area is also accessible for sun bathing when at anchor. Gentleman’s Boat has two bedrooms below – a spacious double berth and a quarter berth – as well as a bathroom with separate shower area.